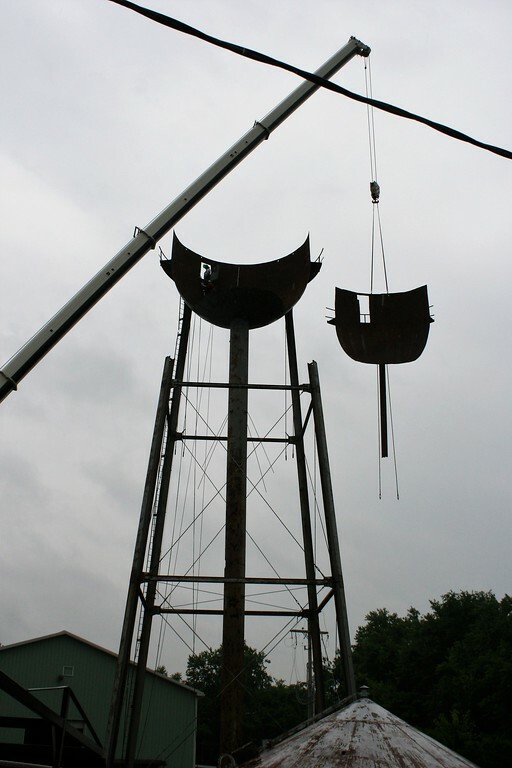 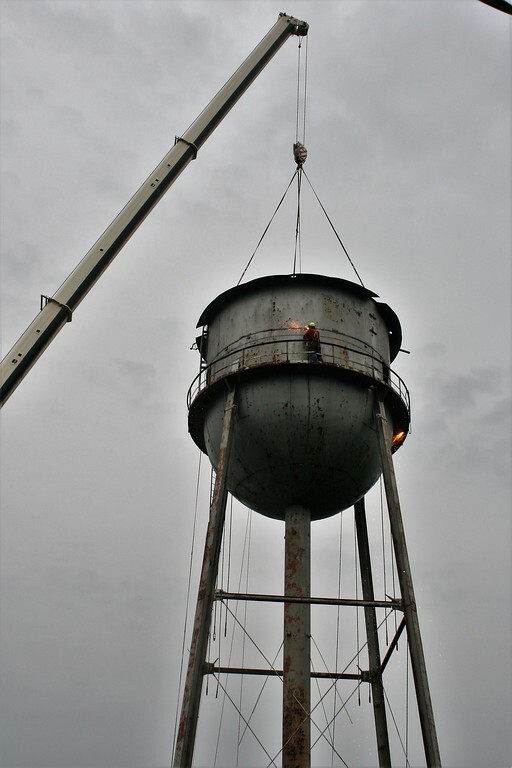 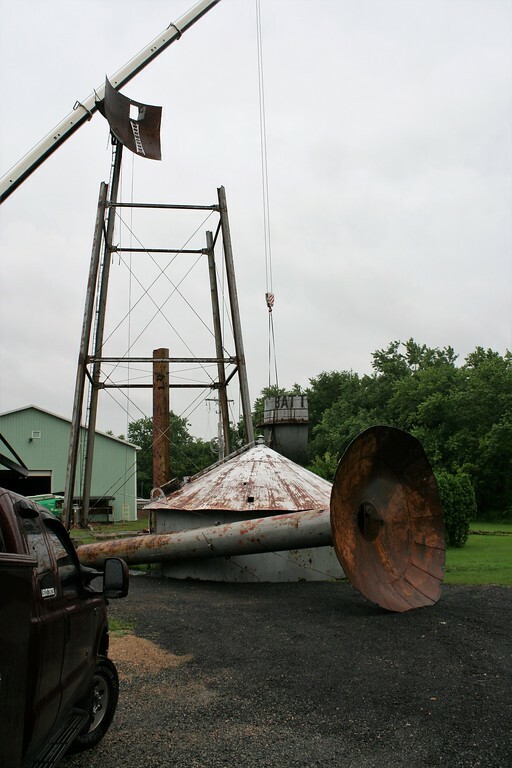 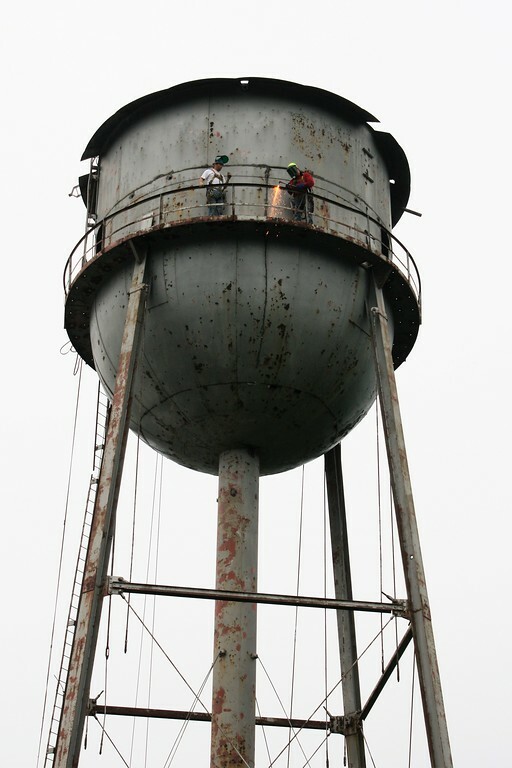 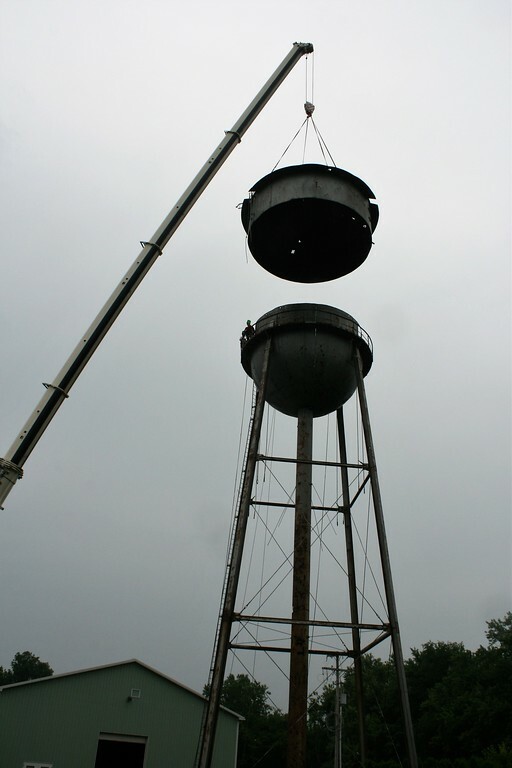 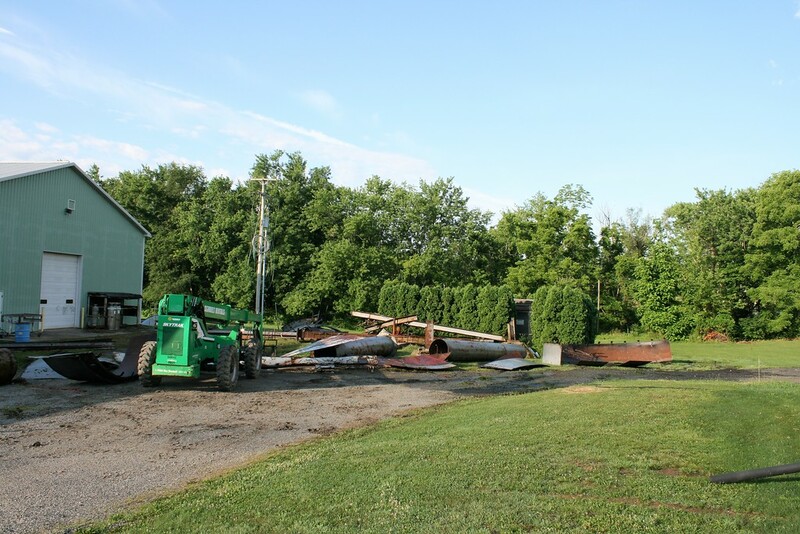 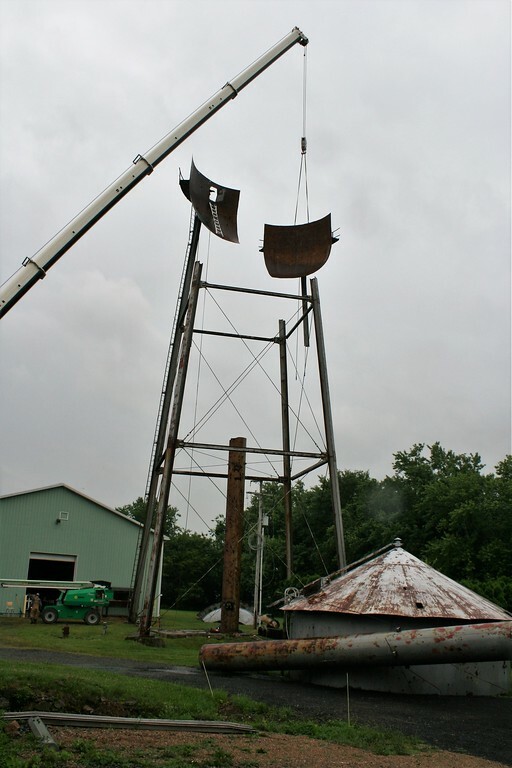 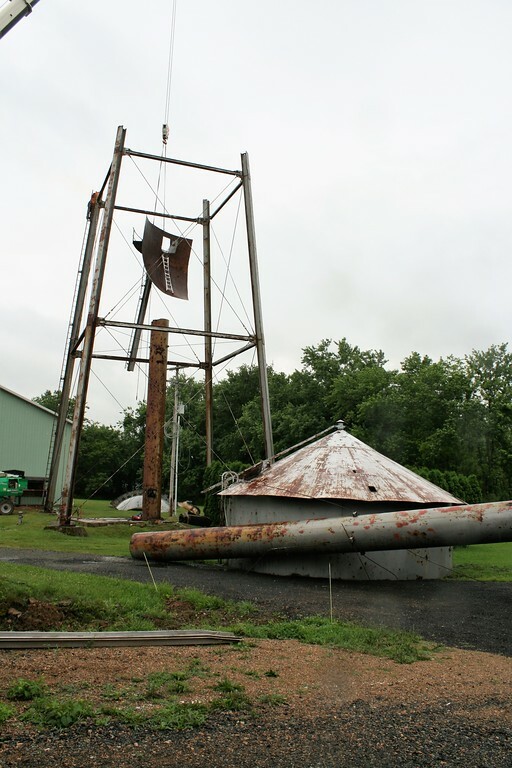 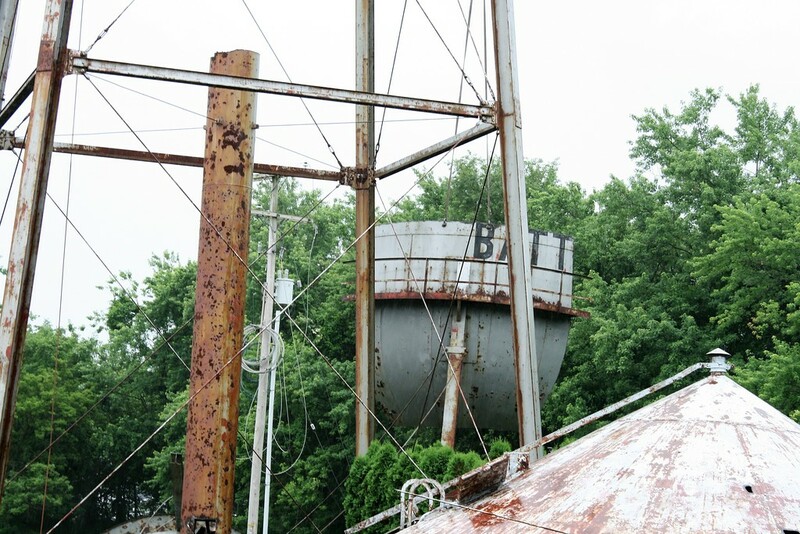 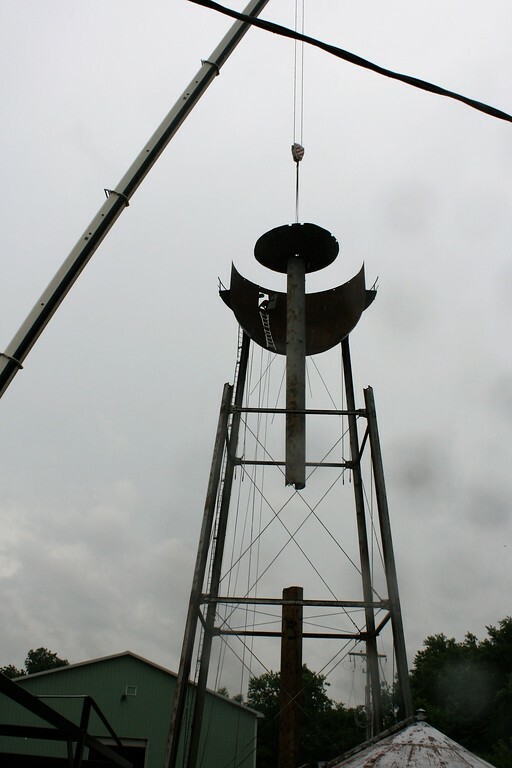 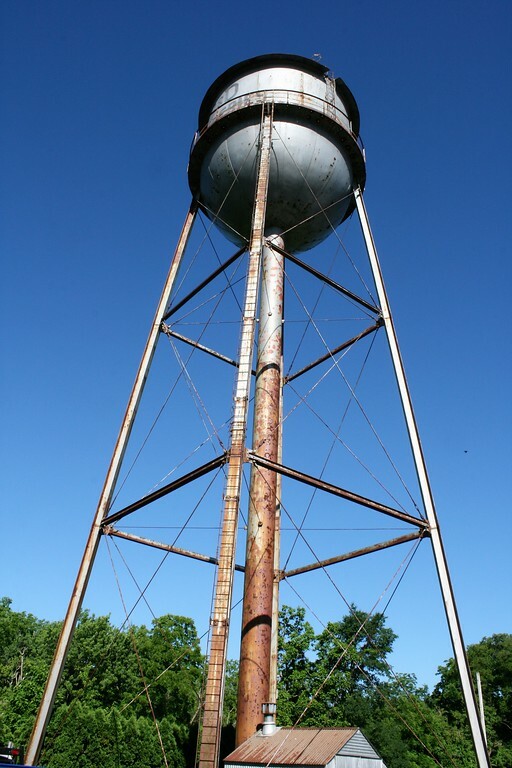 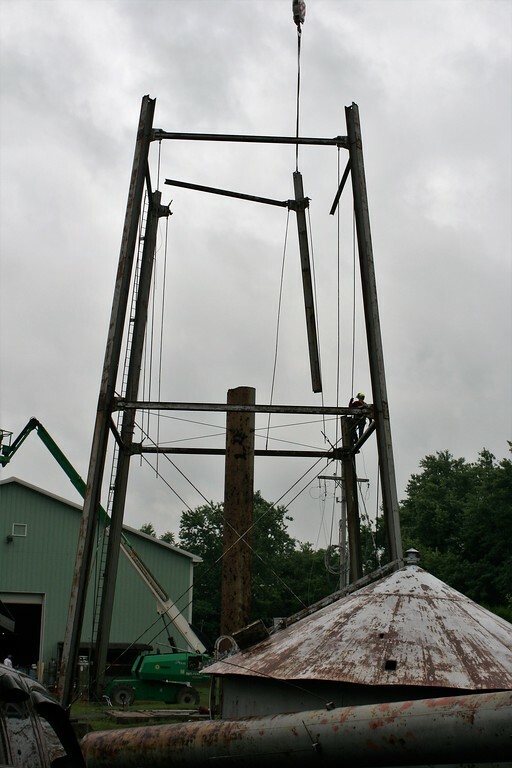 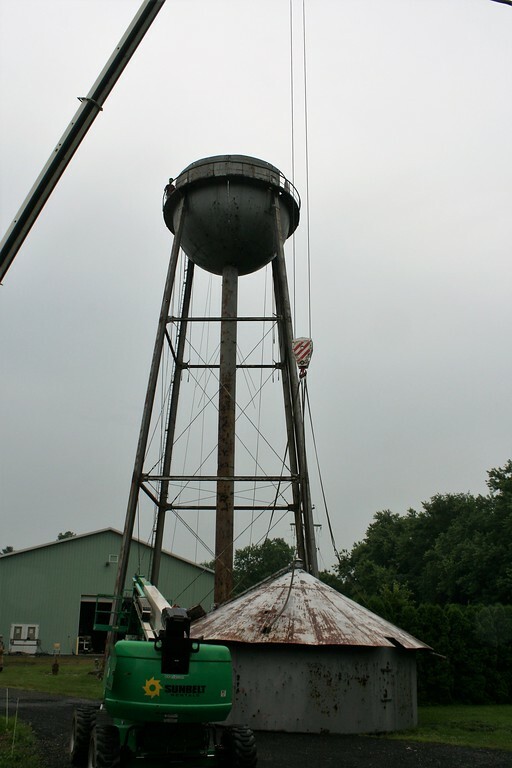 The water tower in Eshbach was taken down on June 23 after standing watch for almost 70 years. 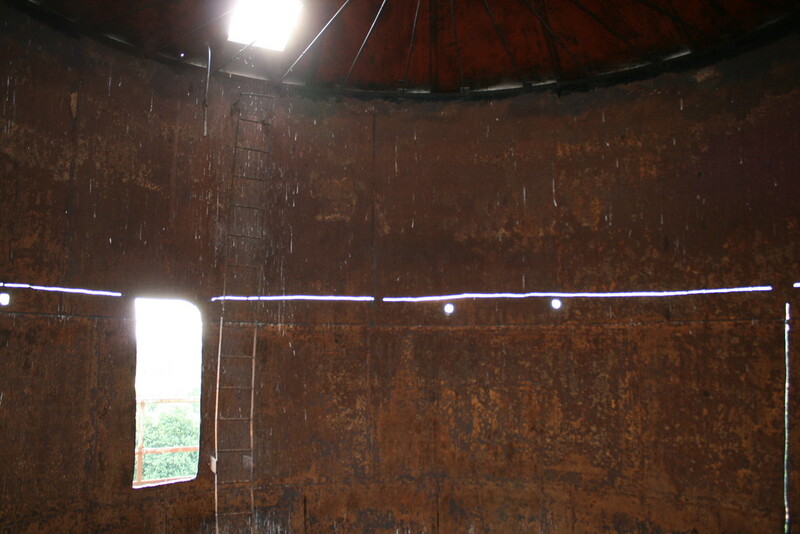 The inside of the 75,000 gallon tank on the Eshbach water tower. 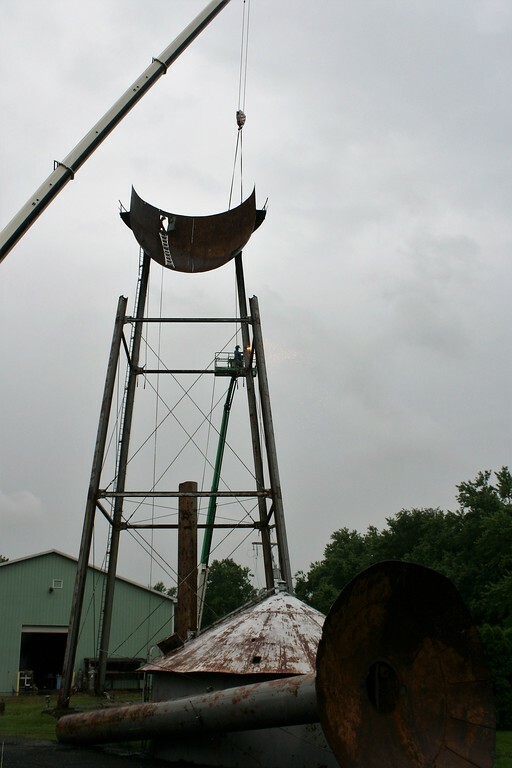 The welders make most of the cuts prior to the arrival of the crane. 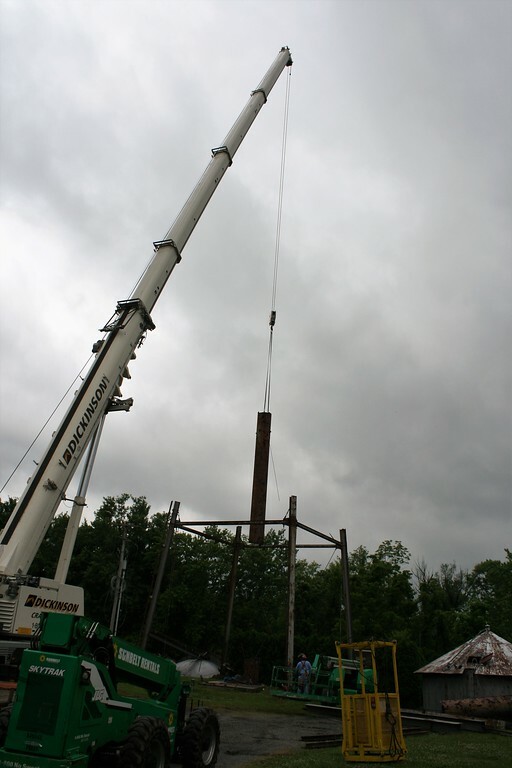 The day the crane arrived they finished the cuts to allow the crane to safely lower the pieces to the ground. 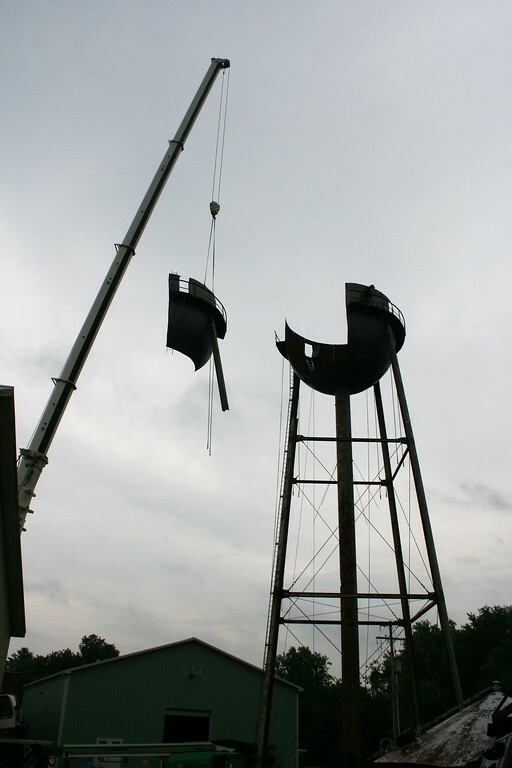 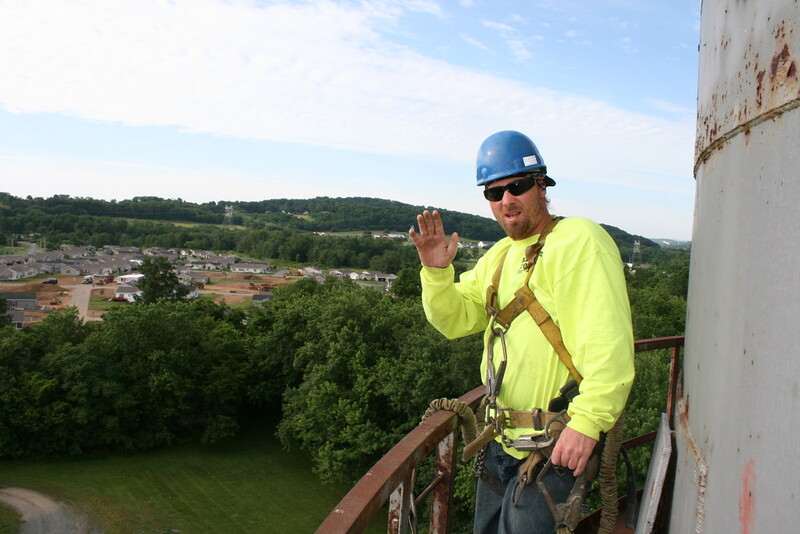 Matthew Hutcheson, one of the welders on the project took down the Eshbach water tower, explains how they disassembled the tower.